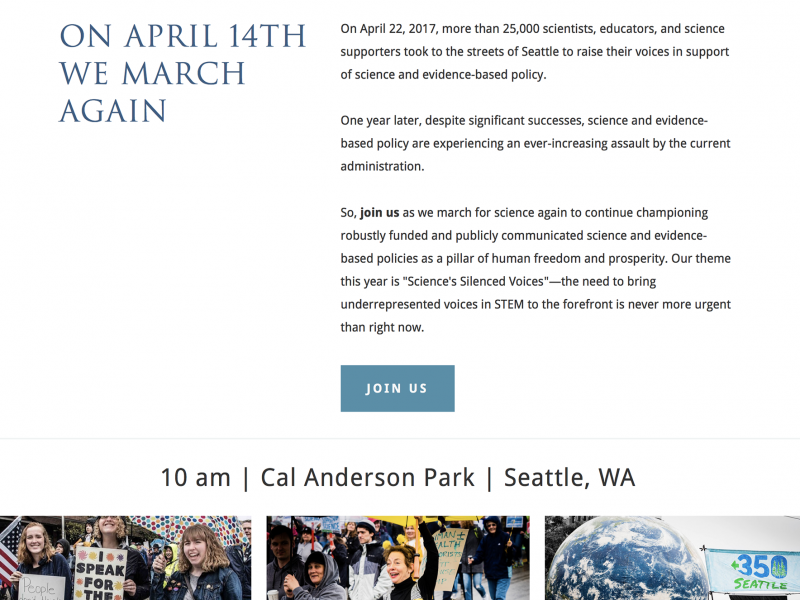 2018 March for Science Seattle website. 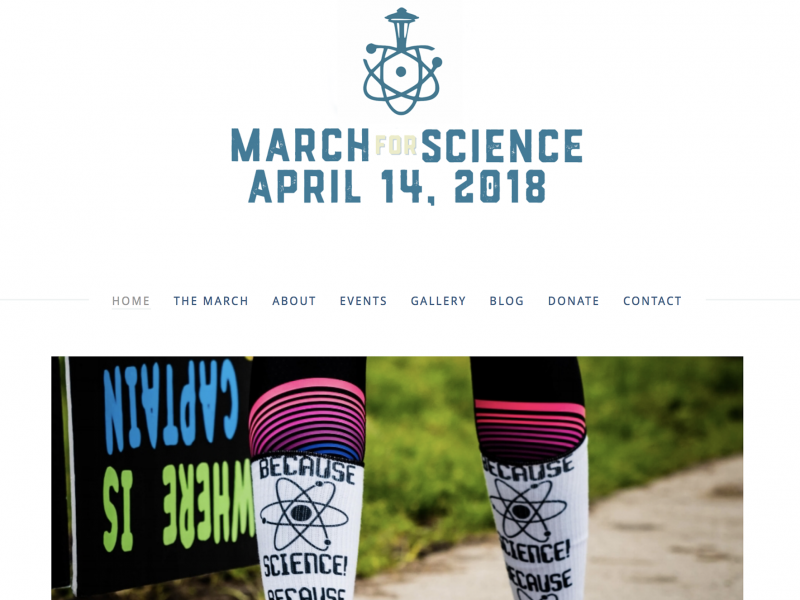 Redesigned March for Science Seattle web site for the 2018 march. 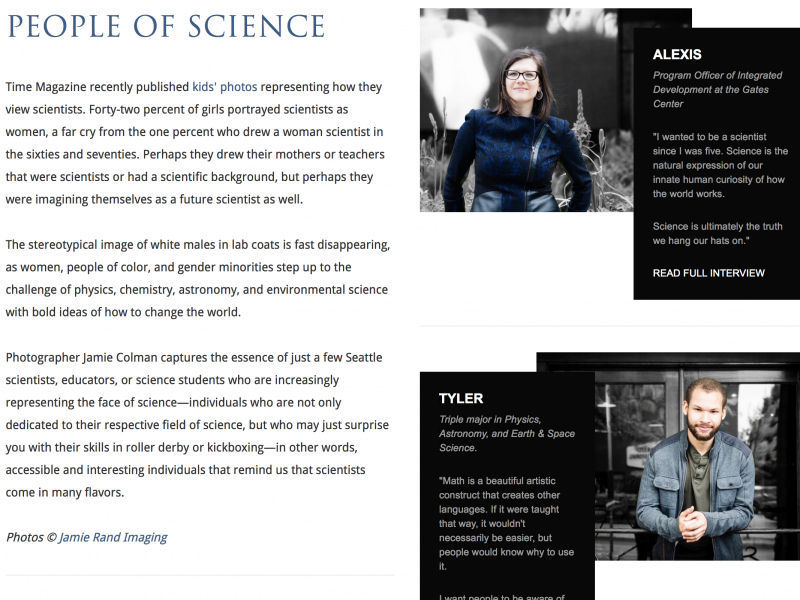 Designed and set up People of Science collage with links to interviews and added new blog page. This project required quick action to learn Squarespace and update constantly changing material within a tight timeline. Redesign praised by both MFSS team and visitors.